I had the good fortune to attend my child’s recorder concert this morning and was one proud papa when I saw him walk into the cafeteria to take his place onstage with his classmates. Every seat in the audience was filled, and I made sure to find a seat right in the middle, ensuring a good view. 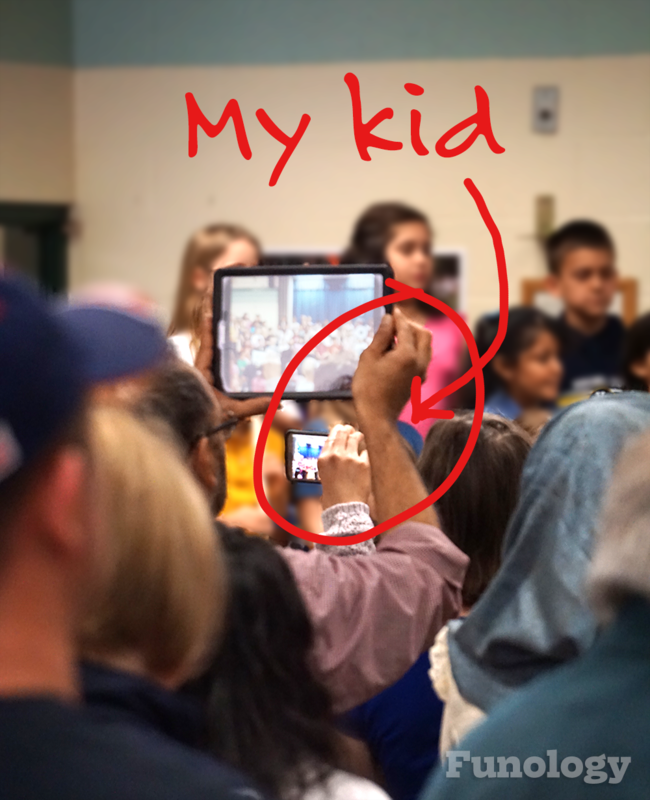 Once the music teacher raised his arms to start conducting the concert, another person also raised his arms — a parent in the second row raised his hands, and his iPad, and kept them up there for the next 25 minutes, recording the entire show. Now, I wasn’t in a seat that was easy to leave without making a lot of people unhappy, so I sat on my hands and simmered the whole time. Whatever happened to common courtesy? How could this guy not realize that he was blocking the view of everyone behind him? I wish I knew his name, because then I could ask him for a copy of his video, and finally see how great my son performed!